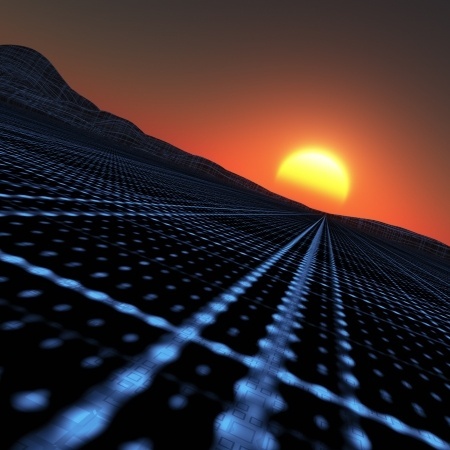 OpenStack has been creating waves in the world of cloud technology. Managed by the nonprofit OpenStack Foundation, OpenStack and its open source cloud computing platform have thrived since the 2010 release of “Austin,” the first OpenStack project. This past January, some of the industry’s most renowned innovators met to discuss OpenStack’s future at the OpenStack & Enterprise Forum. Held in Mountain View, Calif., the event brought together thought leaders from around the world who provided insight into the future of this innovative technology. Here is what they had to say. Founder and former CEO of Nebula, Chris Kemp is an open source pioneer who also co-founded OpenStack. His high-profile career is marked by having served at NASA as chief technology officer for IT—a position fashioned just for him—and by having founded both an online grocery store and an online travel firm. As Nebula’s current chief strategy officer and board member, Kemp is a forward thinker on the front lines of the cloud industry. He explains that the future of OpenStack lies in mainstream IT. “We are at the beginning of a new generation in our computers,” Kemp said, pointing to cloud computing as inciting that revolutionary change. “I think we are at the beginning of this revolution, and it will be a 25-year journey,” he said. Kemp emphasized that enterprises are moving away from commercial technologies toward OpenStack solutions and investing in the technology to make it viable. Kemp’s Nebula, for instance, is moving towards enabling interoperability between clouds using OpenStack APIs. It is hard to ignore Franklin’s historical and current position of enabling IT innovation—especially in the cloud. As vice president of OpenStack & Technology Enablement, Cloud, for Hewlett-Packard, Franklin is well positioned to be a mover and shaker in all things cloud. His HP team offers cloud services based on different OpenStack projects. Right now, HP is focused on the hybrid cloud, which, Franklin said, provides a common articulating point for those who want private cloud and those who choose public clouds. The founder and CEO of SolidFire, Wright aims to provide and refine storage services for the public and private cloud. SolidFire’s scale-out architecture enables providers to sustain top-notch performance and to manage datasets utilizing an all-flash array maker. Wright weighs in on the future of OpenStack from the storage industry viewpoint by explaining that the project gives companies like SolidFire the tools they need to truly innovate. Wright says that SolidFire is seeing an increase in the demand for OpenStack adoption and that business is expanding to include more than just cloud service providers. Joining the list of SolidFire clients are traditional businesses and Internet service providers. Support will be a key element in the future growth of OpenStack. Like Linux, users must learn how to manage this architectural terrain. No matter how you look at it, the growth potential is there. It is up to those in the trenches to fan the OpenStack fire in order to fuel the expansion of the enterprise cloud.